Weekend Market in Bhutan or Bazaar. When is this weekend market and where are they held. Are they interesting to see it? Does my tour incorporate such visits or I have to do it on my own? Weekend markets are where the farmers as well as other vendors come to sell their produce/crafts. It is colorful to see so many people and different products. 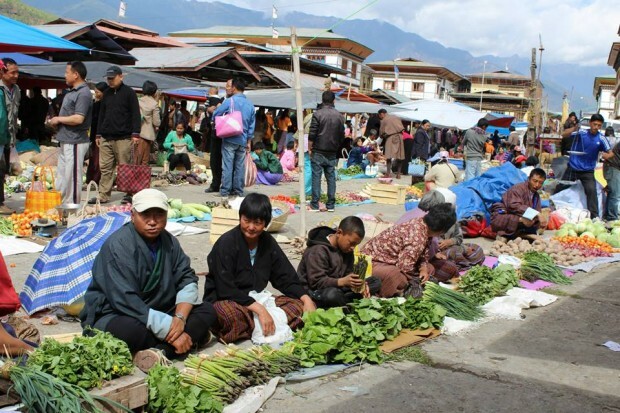 The most popular weekend markets are held in Thimphu, Paro, Phuntsholing and Wangdiphodrang. Among this, the one in Thimphu is the most popular one, followed by one in Paro and Phuentsholing. Small seasonal weekend market may be held in Trongsa and other towns in Bhutan. 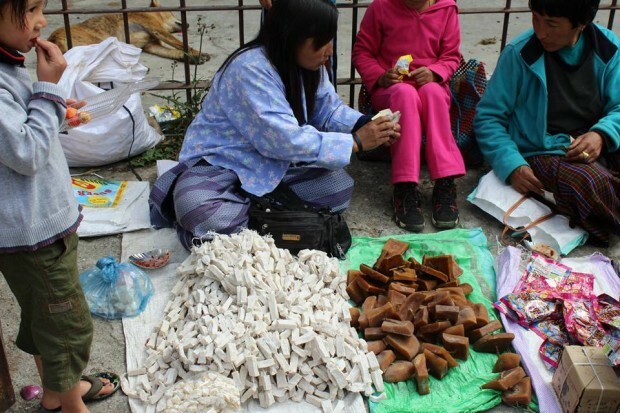 Thimphu weekend market starts from Friday noon and it is over by Sunday afternoon. 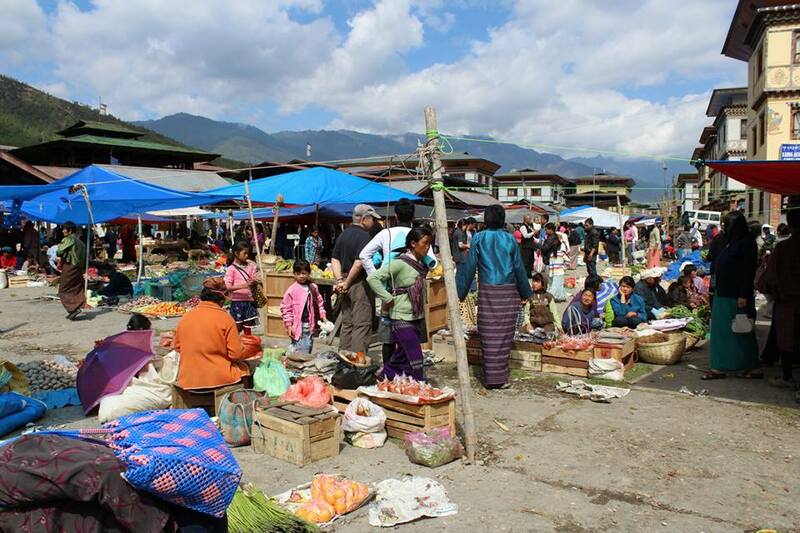 The market in Paro and Phuntsholing are held on Saturday. Weekend markets are usually held in the site constructed by the city/town in an open area with roof and it is similar to Farmer’s market in America. Depending on the tour operators, and depending on your time of visit, we normally try and incorporate this visit, if it does not hinder other programs / itinerary of your trip.